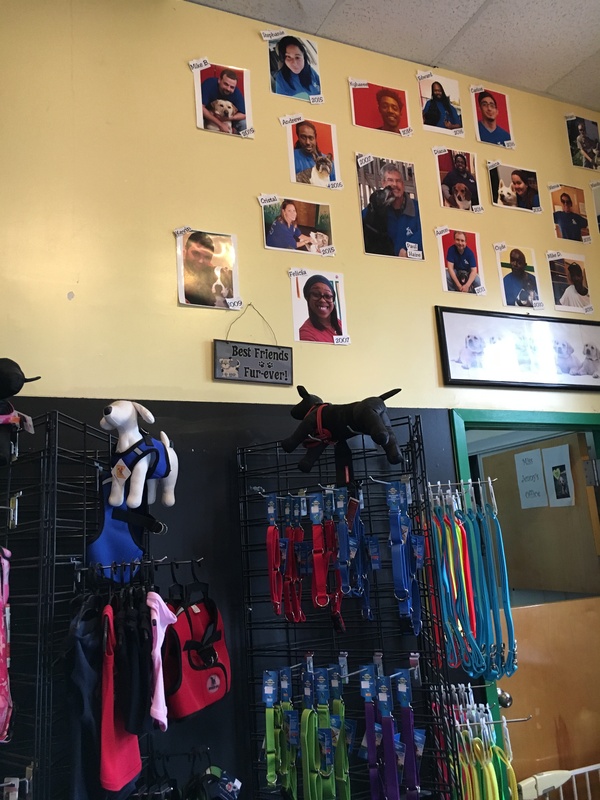 What better way to celebrate the “Dog Days of Summer” than featuring one of the area’s top full service dog daycare establishments in this space. 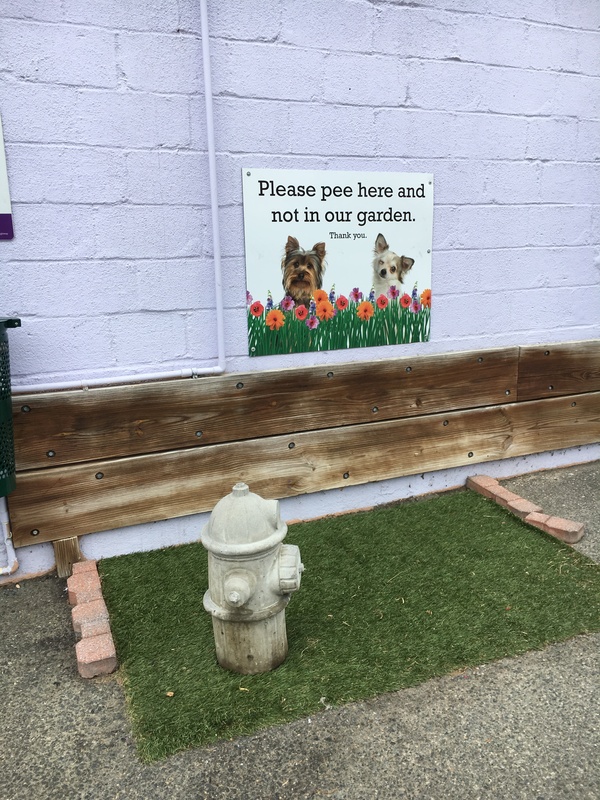 Located in a large, lavender (very soothing color I guess) corner building on the Jeff Davis Highway in the Del Ray area of Alexandria, Your Dog’s Best Friends (YDBF), caters to your canine friends every need. 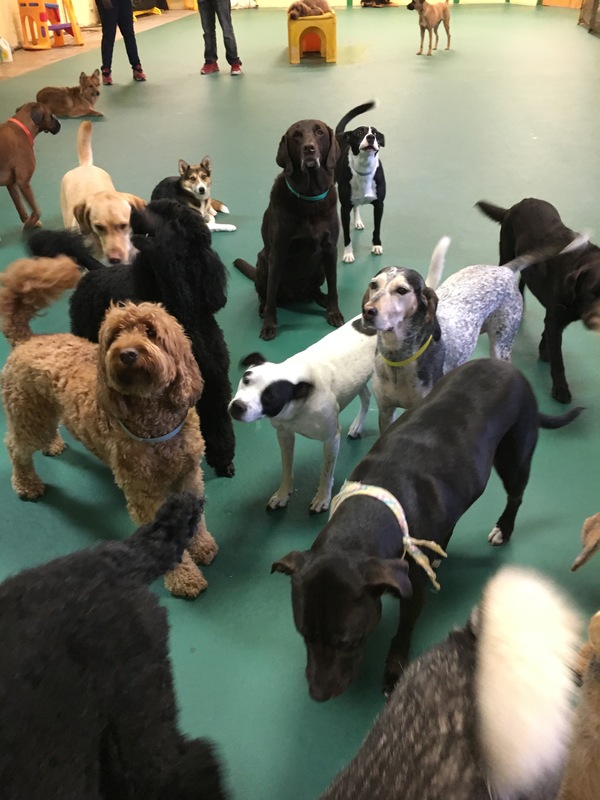 In addition to daycare, they have boarding facilities that are monitored 24 hours a day, offer grooming and walking services and conduct both training and socialization sessions. They also sell a wide assortment of dog related paraphernalia both in the facility and online. This is definitely a one stop shop. This state-of-the-art facility was built with much attention to cleanliness, safety and most importantly, the comfort of your dog. 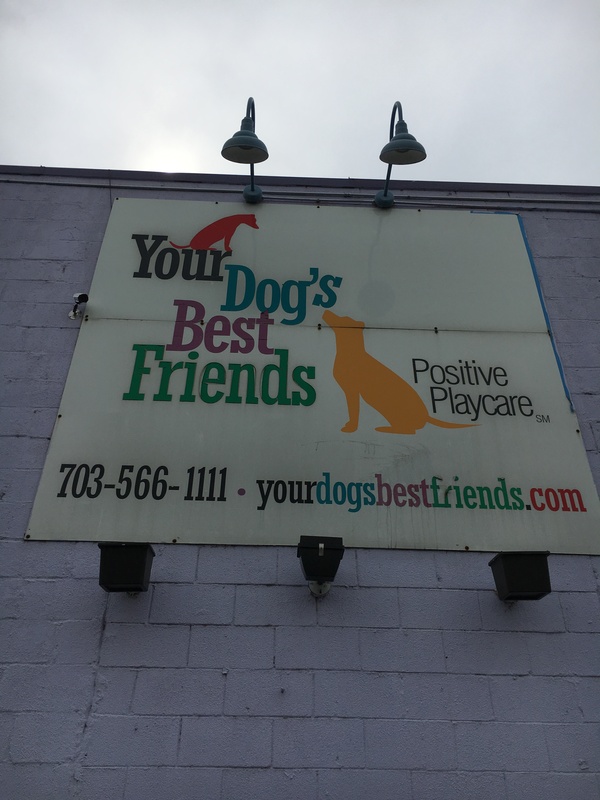 Established in 2003 as a result of a movement among the residents of the Del Ray section of Alexandria to attract a dog daycare into their area, YDBF is the culmination of those efforts. To quote prominent Alexandrian and early advocate and well-known dog lover, Sandy Modell, “Create a profoundly positive place for dogs and success will follow.” This is certainly the case with YDBF. This may actually be one of those Field of Dreams businesses that the “Build it and they will come” model worked. This definitely isn’t the norm with the other 99% of business models. Owner, Paul Haire, formerly an established real estate investor and broker and policy wonk, went back to his roots – sort of – when he decided to take on the YDBF endeavor. In his youth he worked at an oceanographic institute in Hawaii and assisted in the care and training of the porpoises. It was pioneering work at the time, applying then new Skinnerian principles of positive operant conditioning. The results were phenomenal and it was clear that the time the porpoises spent in training were the physical and emotional highpoints of their days. This experience and his time spent with Karen Pryor- then director of the porpoise program and founder of the “clicker” training method of teaching dog obedience – led Paul to apply the lessons about behavioral conditioning he learned in her program to create and manage the vibrant community for dogs that is now YDBF. Paul and his black lab, Bella’s previous experience with cageless daycare and boarding played a big part in the model here. His philosophy isn’t that this is a “luxury” but that it is beneficial to the well-being of both the dog and the owner. Many of you are familiar with one of our local cat rescue groups King Street Cats. They operate under the same philosophy. There are no cages at their facility and they subscribe to letting the felines who end up in their care roam freely and socialize. They have a very high adoption rate since they get to know each of their charges and can pair their unique personalities to those of potential adopters. In talking with the employees, it is clear that they love what they do and that transcends to their furry clients. Brittany Wolf was very gracious about giving me the tour and she most certainly enjoys what she does. This is a very happy place! If you are looking for a retreat for Fido and Fifi that can, indeed, be called your dog’s best friend, check out YDBF.